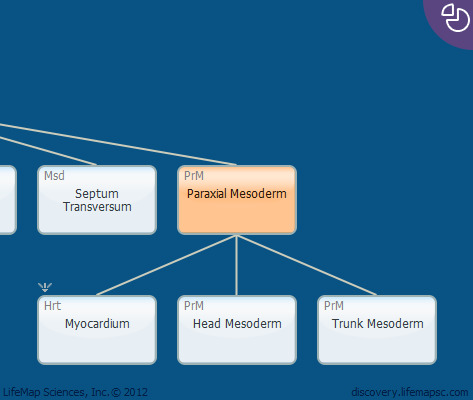 The paraxial mesoderm is an early mesoderm derivative. It is located between the notochord and lateral plate mesoderm and gives rise to somites, transient structures that form by segmentation of paraxial mesoderm and develop into vertebrae, ribs, dermis of the dorsal skin, and skeletal muscles of the back, body wall and limbs. In the head region, the unsegmented paraxial mesoderm gives rise to the facial muscles along with the neck and eye skeletal muscles.